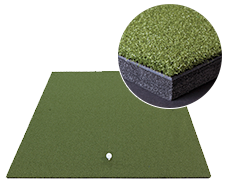 You want your golf hitting mats to match the look and feel of a natural tee box – and that’s exactly what you’ll get with Tour Greens synthetic turf. 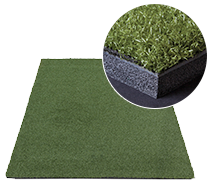 Our custom-designed golf mats are the closest to the real thing and provide year-round durability that real grass simply can’t match. 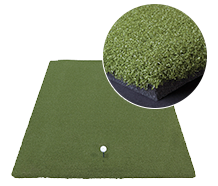 Our golf hitting mats are ideal for use as driving range mats or for backyard use.